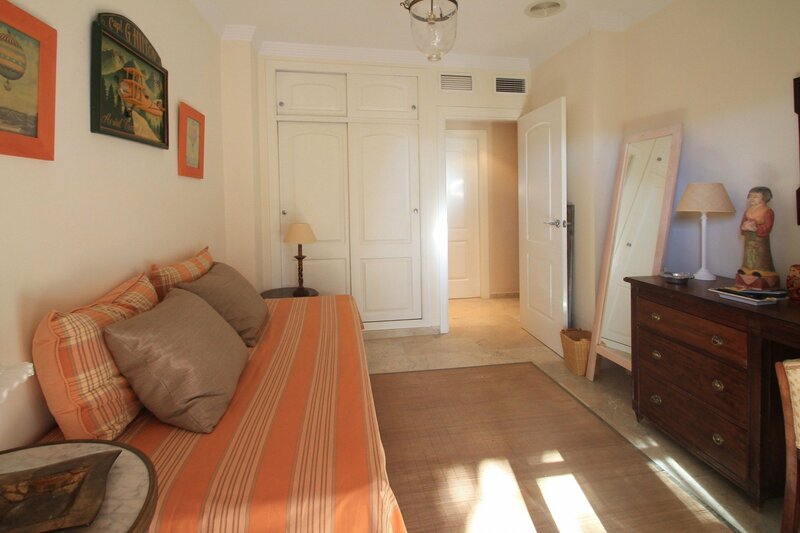 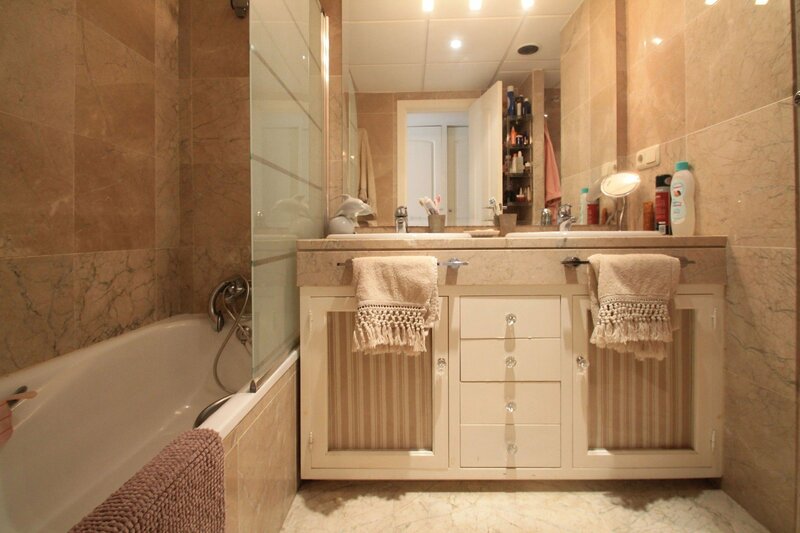 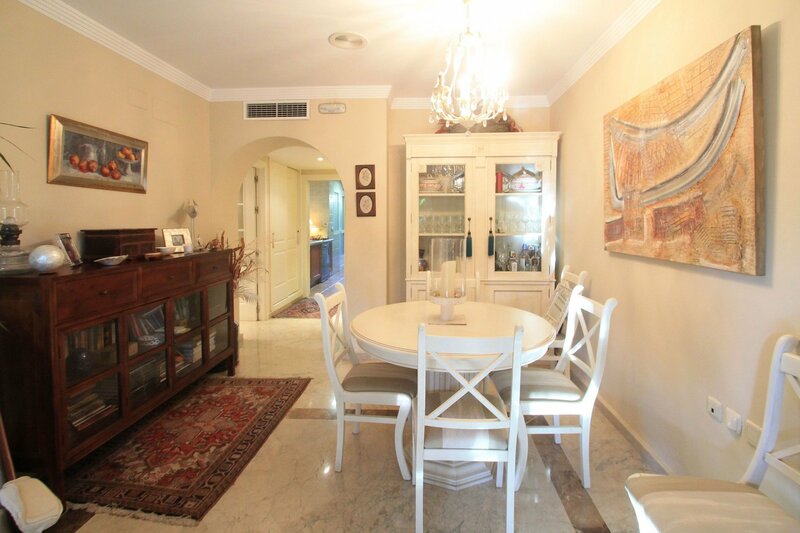 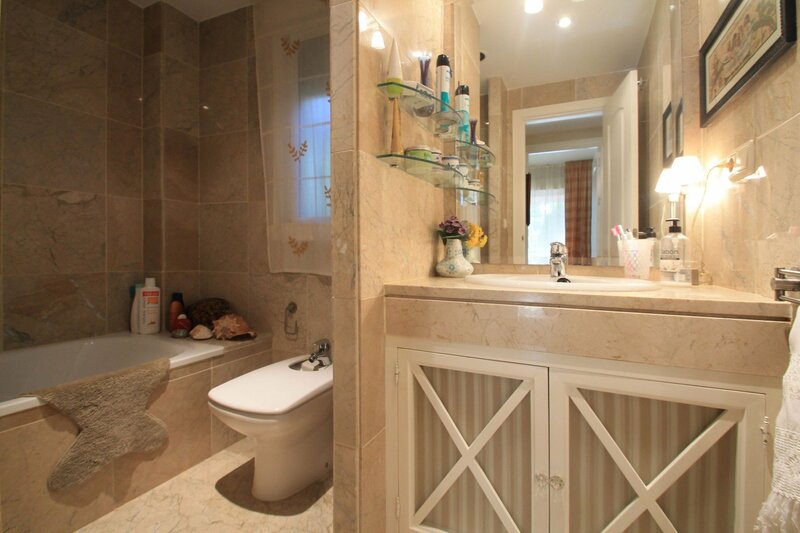 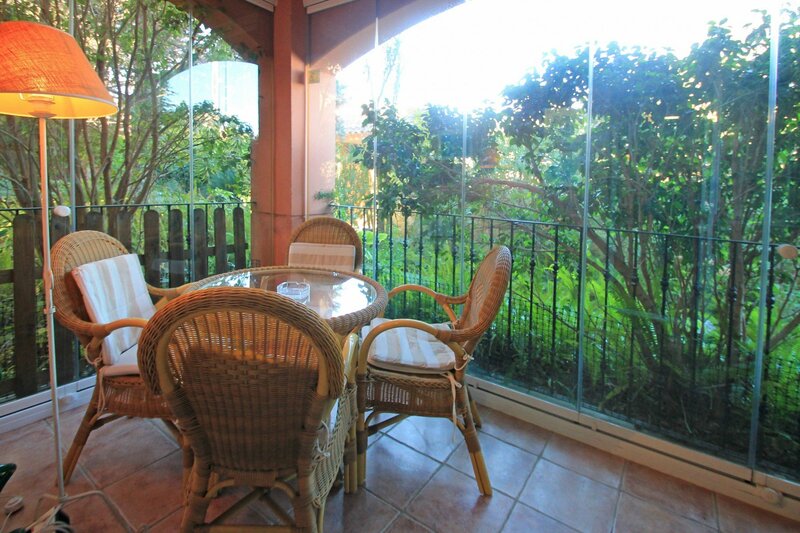 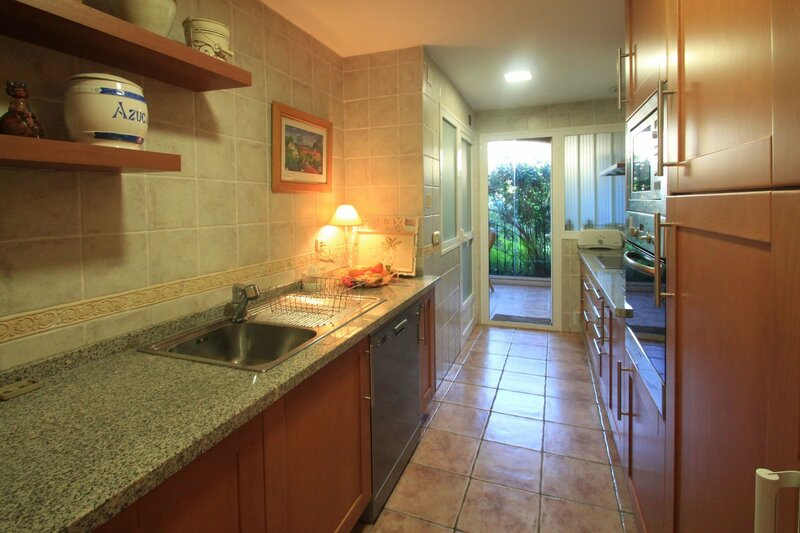 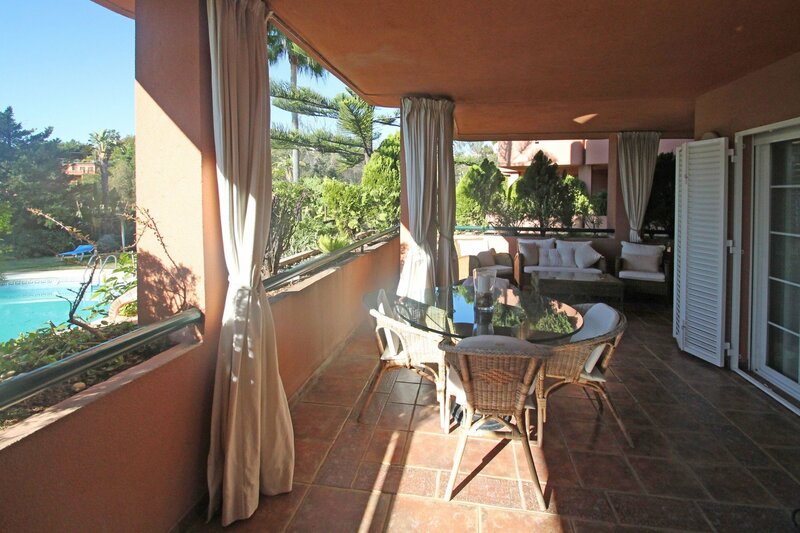 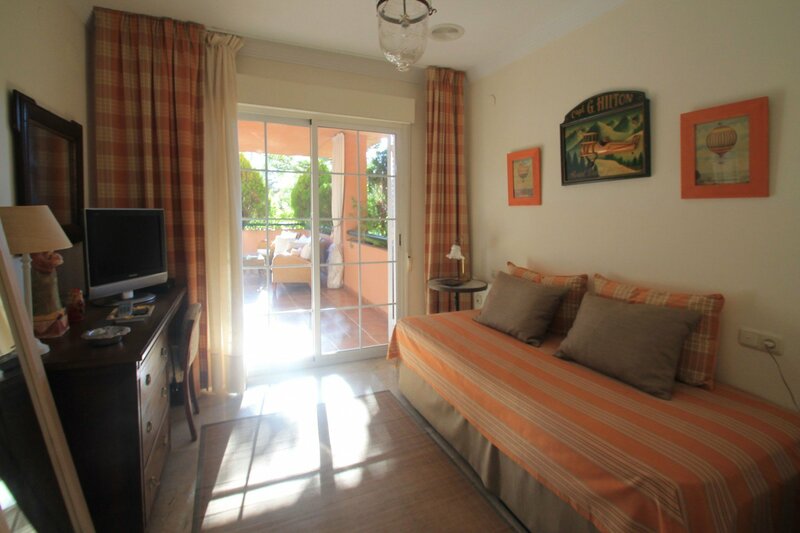 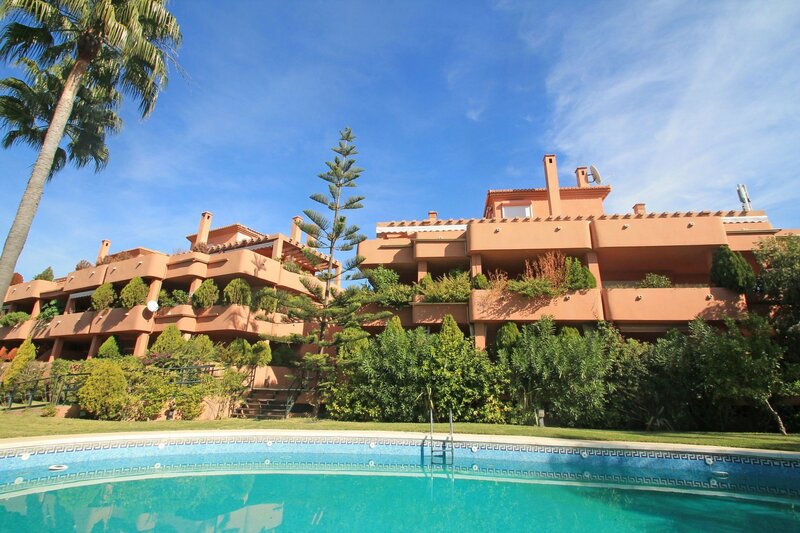 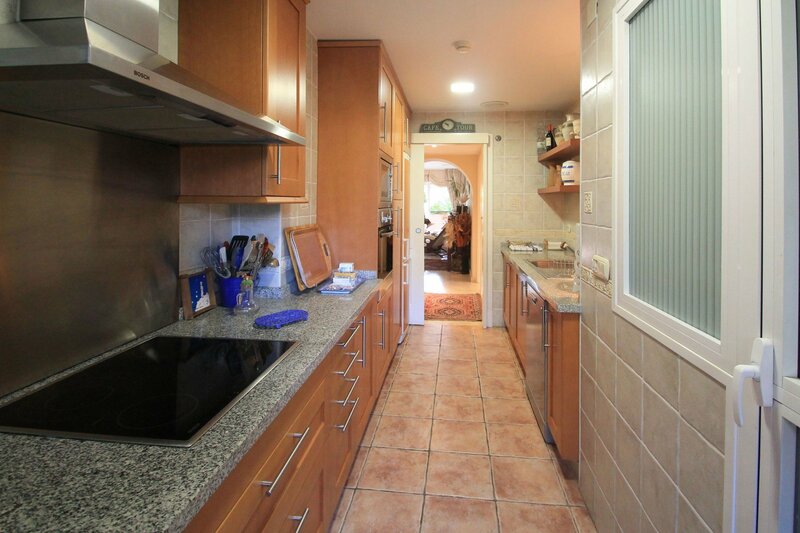 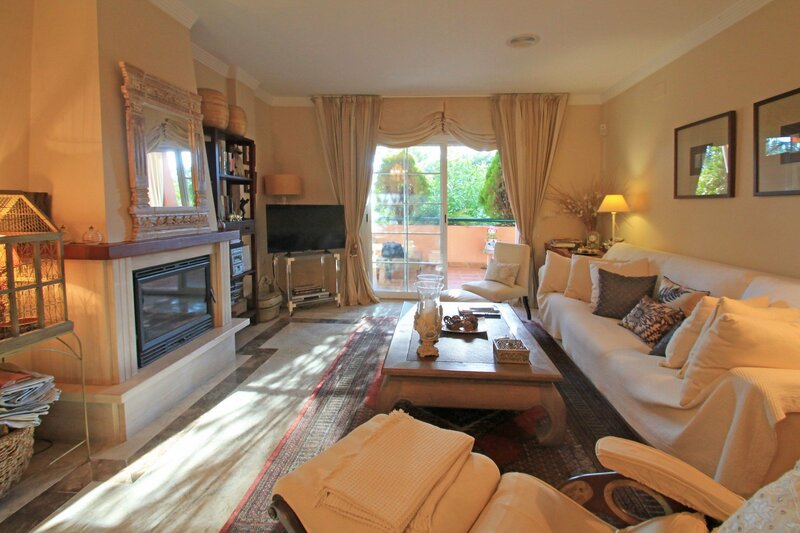 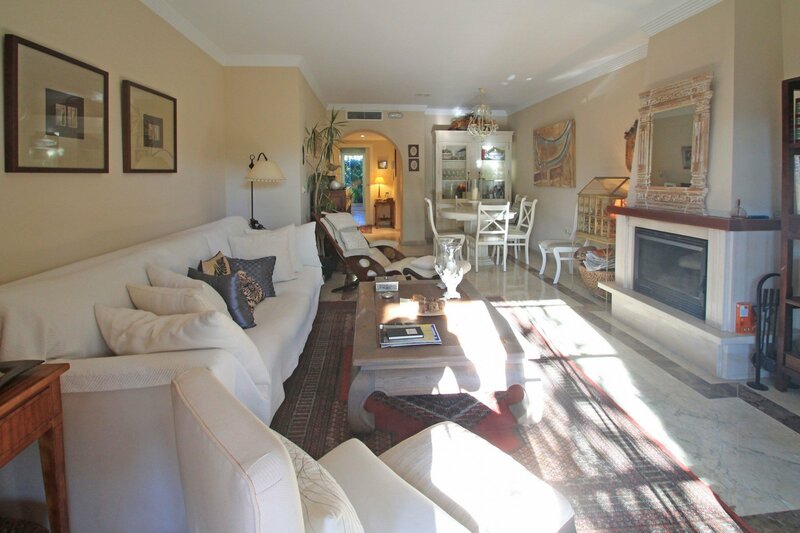 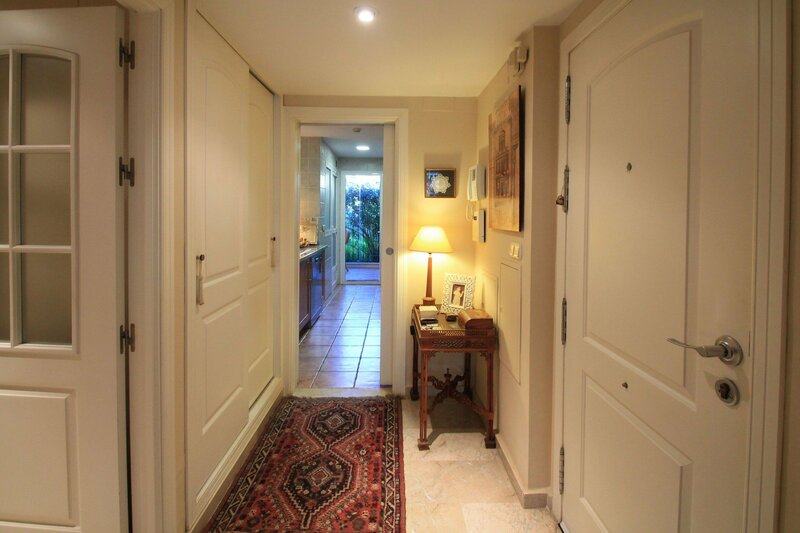 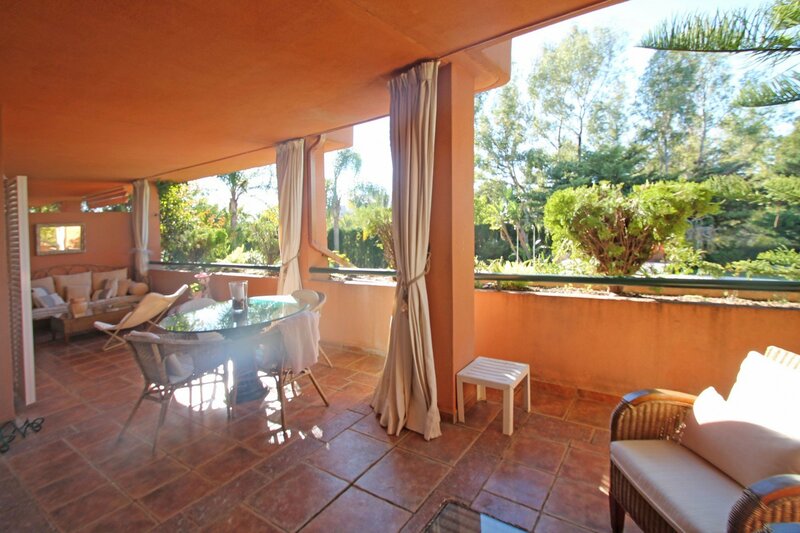 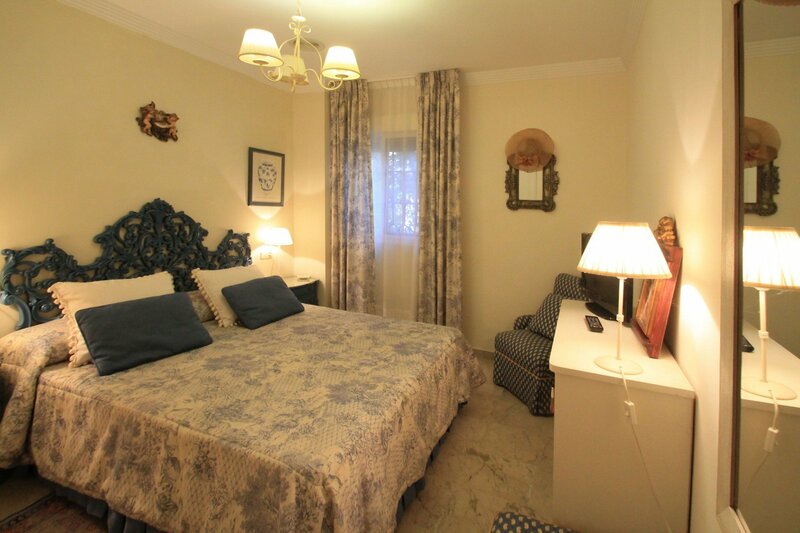 South-West facing three bedroom elevated ground floor on Marbella's Golden Mile, within walking distance from the prestigious Puente Romano Hotel and the beach. 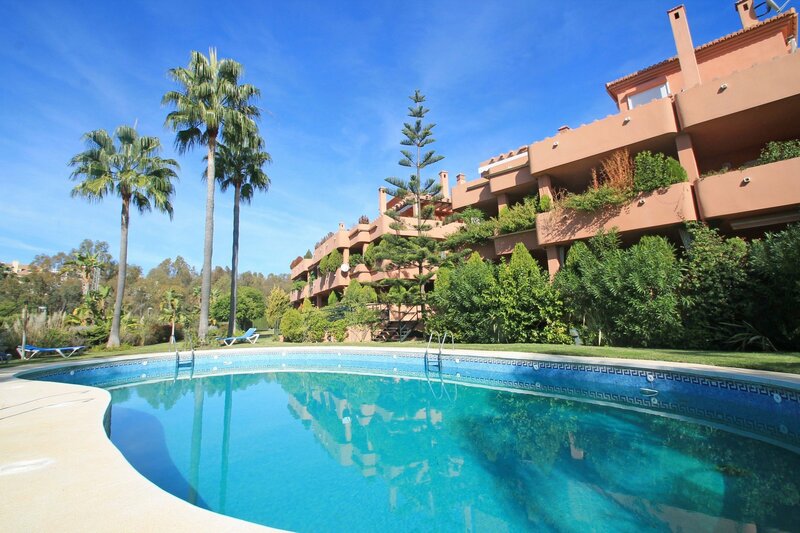 Nestled in a small and very private gated community which offers CCTV, a communal swimming pool surrounded by tropical gardens and underground car parking. 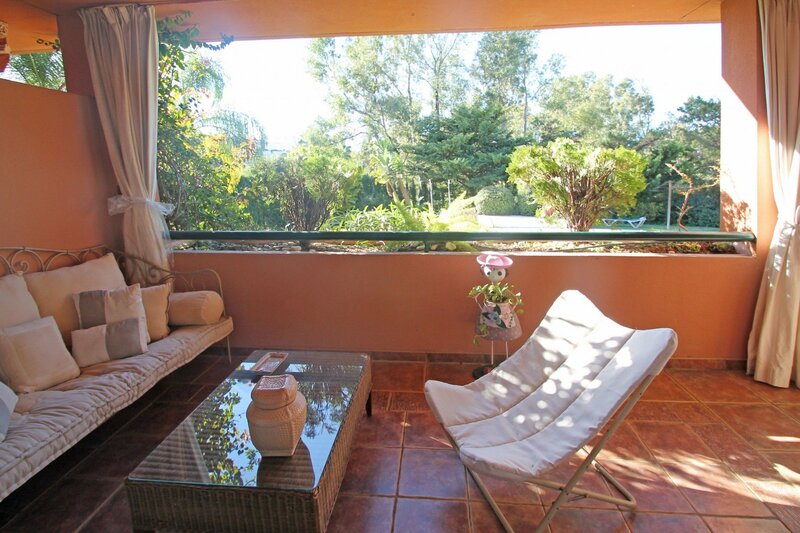 This corner property consists of: entrance hall, living/dining room with fireplace and access to a spacious covered terrace overlooking the beautiful gardens and the pool, master bedroom with en suite bathroom and access to the terrace, two guest bedrooms -one of them with access to the terrace- both sharing a bathroom, fully fitted kitchen with utility room and adjacent enclosed glazed terrace with seating area and nice garden views. 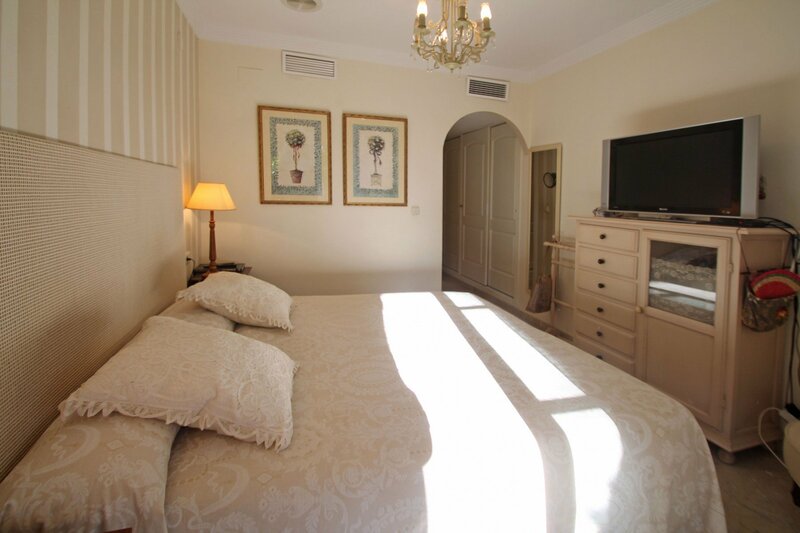 Features include: air conditioning H+C, surround sound system, marble flooring throughout and one car parking space and a store room.